An important Rosslyn planning meeting for the Wilson School site will be this evening from 7-10pm at Wilson School. Material for the session includes two concept designs. 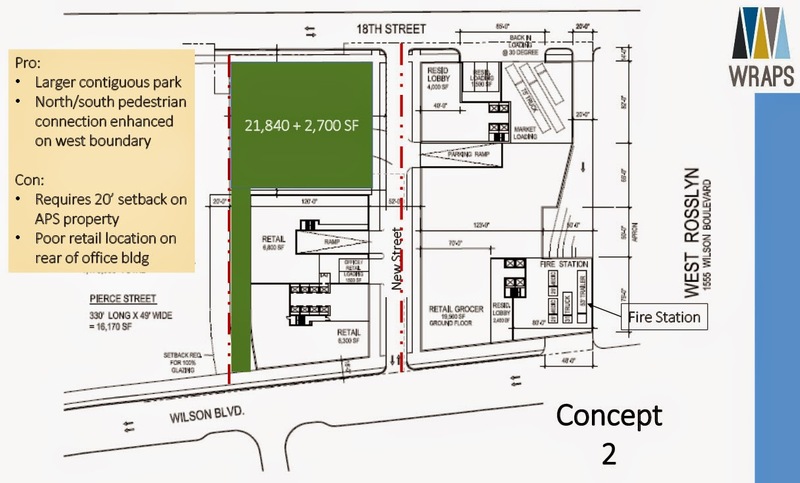 - Provide little to no park visibility from Wilson Blvd. - Entail significant retail, grocery and housing development along Wilson Blvd. on former county property, including former park space. For more discussion, see the FORHP website.